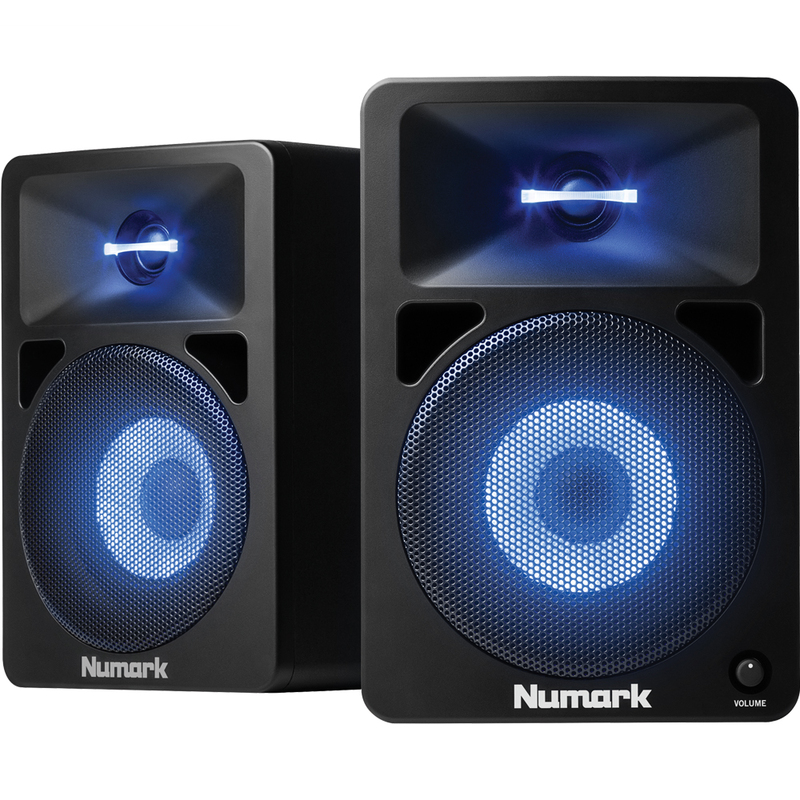 Large and powerful enough to have surprising output and punch, but trim enough to fit easily into tight spaces, the N-Wave 580L desktop monitor system is comprised of two matched speaker cabinets. Each cabinet contains a 1-inch silk dome tweeter and 5 ¼” woofer, blended together with an electronic crossover network. 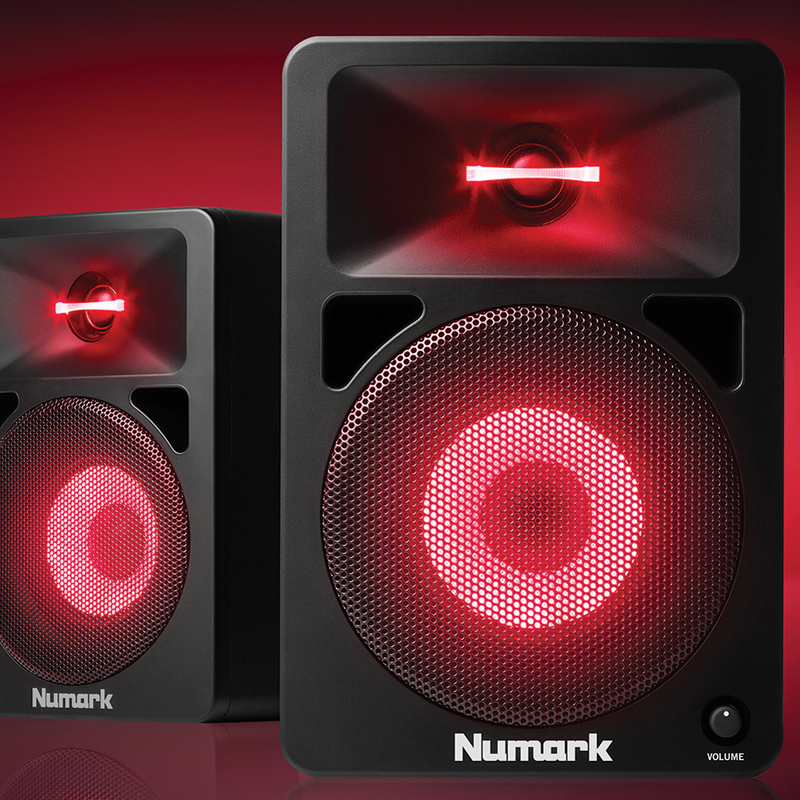 The onboard amplification system delivers 40 watts of dynamic power for impressive, clear sound. But it’s the exciting built-in illumination that sets the N-Wave 580L apart from every other compact monitor. The woofer and tweeter have brilliant LED lighting that can be customized to either pulsate with the music or cycle through the color spectrum. The lights can be defeated for those occasions when you prefer not to use them. The system’s 2-channel amplification is mounted in the Right speaker, so only one speaker needs an AC power connection. You simply connect the Left speaker to the Right using the included plug-in speaker cable. 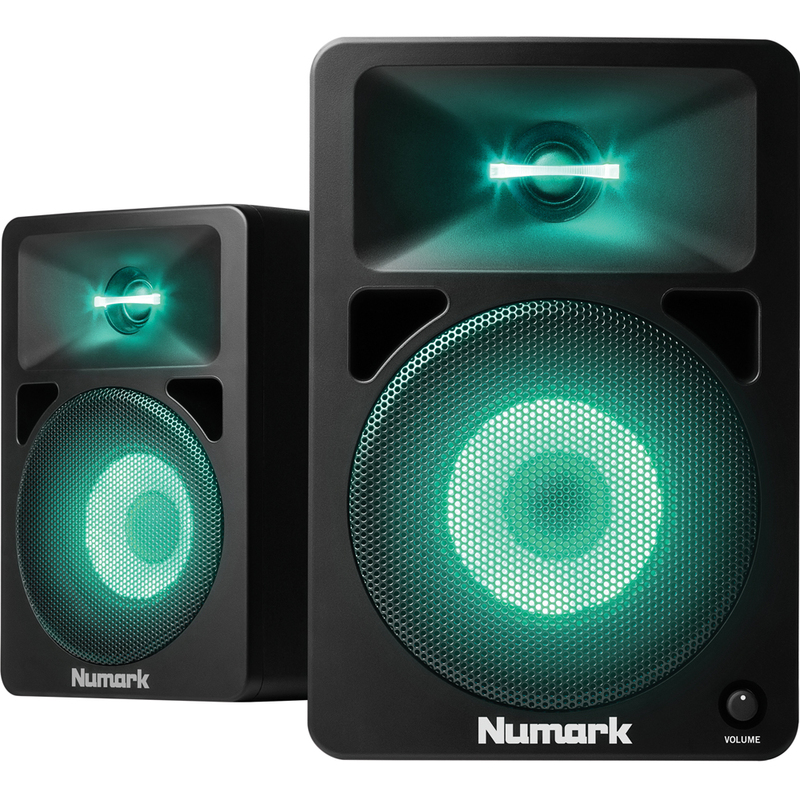 The system volume knob is conveniently located on the front panel of the Right speaker. 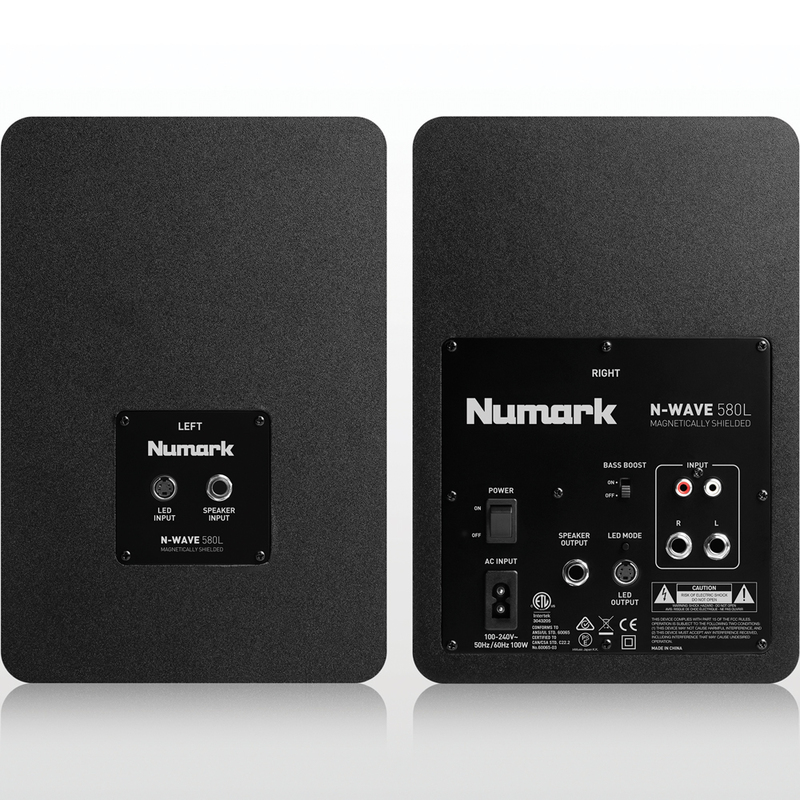 The Numark N-Wave 580L’s outstanding acoustic characteristics result from our attention to detail: The cabinet has a tuned bass port that delivers a surprising low-end response down to 55Hz. The concave oval high-frequency waveguide provides the wide listening area “sweet-spot” for accurate imaging required by all demanding DJs. As a finishing touch, the cabinets feature smooth, radial-edge front baffles that minimize audible edge diffraction.